Someone needs to sit down with the administration at UMW and sort things out. About 75% of my friends want to transfer. The academics are pretty good I guess. Classes are challenging and teachers demand a lot from you. The average freshman class size is pretty big—my smallest class has about 30 kids in it. I think the reason most kids are unhappy is the social scene and general atmosphere on campus. The parties are alright for a short while but they get old quick. By now I just want to hang out with my friends and not have to go to some random party where I don't feel completely welcomed. Dormlife is very strict. RAs can be cool but a lot of them enjoy busting kids—they even have some kind of quota. The campus police are actually state police who are called to search rooms etc… There is a zero-tolerance policy with all drugs too. Coming from the north I've never heard of that in college except for super strict ones. Not that it is too unreasonable but it filters out an entire group of kids. About half the student body lives off-campus so the campus is dead. There is hardly a social life on campus; it just consists of house parties which are a pain to walk to and get broken up by the police most of the time. My biggest problems with the school, however, are that I feel like I was decieved and that I was given really bad advice. The school prides itself on its honor code which I liked before I came here. I thought that meant there would be a lot of trust given to the students, but that is not the case. 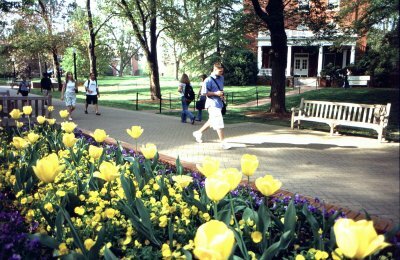 The honor code just reinforces the consequences of breaking it and it extends into every aspect of life at UMW. Not only does it target people who don't snitch on other students for cheating, but it can be applied to any disciplinary infraction (ie: lying about drinking). The bad advice I was given was pretty devastating because it really damaged my transcript. I went to some meeting where a group of teachers told us if we were serious about pre-med we should be really gung-ho about it. That led me to take rediculously hard classes and to do poorly. Now I want to transfer but I'm stuck with a bad GPA. I think that this school is good for some people. The people who do well here seem to be people who were socially inert in highschool. I guess athletes like it too. I quit lacrosse though because it was too hard to balance with school—everyone on the team is a business major which is the school's easier major. I've heard seniors say that they couldn't believe they stayed at UMW and the lameness of the school is often "joked" about. Anyways, I can't wait to transfer out of here.